Collie Buddz in Montreal or Quebec City? Inform me about the next events for Collie Buddz. Enroll yourself to our priority waiting list for Collie Buddz to be alerted when new tickets are available. Filling this form doesn't engage you to any purchase. Collie Buddz is coming to Montreal to present his new album, release in january 2011, on april 6th at Club Soda. Collie Buddz is a reggae music artist from Bermuda. In summer 2007, if first album went to the top of the Billboard Reggae Chart. From then, the singer has conquered the international market and his album went to the top of charts from Japon to Germany. His first single, Come around, had a pretty big succes. 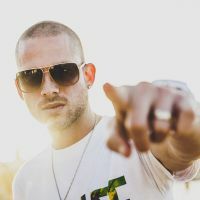 With his Hip-Hop and Soca influences, Collie Buddz, born Colin Harper, has become the Caribbean culture's ambassador around the world.